Previously, I wrote about Lovecraft’s views on racism and how they may have changed. This post focuses on the legacy of that racism, both for those who knew him and later readers. I also look a little closer at the idea that Lovecraft was a product of his time. Lovecraft’s era was a dire time for race relations. People from across all political and social stripes held and expressed views most of us now find repugnant and startling. And many of them looked to science to prove their already deeply held beliefs. 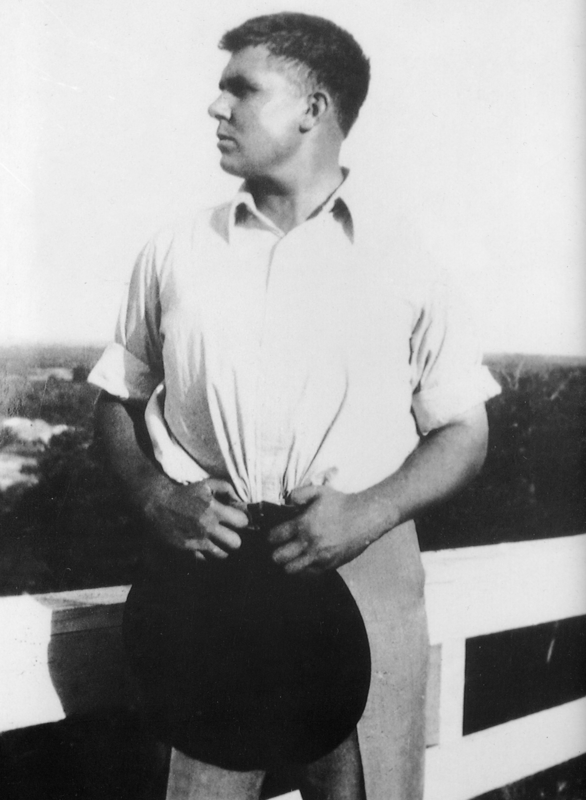 If we look at the correspondence of the other two authors in “the big three” of Weird Tales in the 1930s, Clark Ashton Smith and Robert E. Howard, we see similar sentiments and comforting scientific rationales to HPL’s. I’ve seen a number of defenses of Lovecraft that amount to his actions being more important than his beliefs. That’s true to an extent, but considering how much he expressed these beliefs to others, some receptive, some not, I think that lets him off far too easy. He didn’t exactly keep this to himself. Sonia Greene later related that Lovecraft would become livid with rage when encountering crowds full of minorities in New York. She didn’t mention if this anger was noticeable to anyone else. And, indeed, Lovecraft prided himself on his public composure, reassuring his aunt Lillian in a letter subsequent to the one I quoted previously: “Incidentally–don’t fancy that my nervous reaction against alien N.Y. types takes the form of conversation likely to offend any individual. One knows when & where to discuss questions with a social or ethnic cast, & our group is not noted for faux pas‘s or inconsiderate repetitions of opinion.” Good friend and fellow writer Frank Belknap Long corroborated this; well aware of Lovecraft’s racism (which he didn’t share), he mentioned that he never witnessed Lovecraft be anything but polite to any minority he encountered on their frequent walks, even out of earshot of them. So, he was polite in his later years, at least. In 1916 (age 26), he bragged about how he was a well-known anti-Semite while in high school. This was when he first knowingly encountered Jews, who were among his classmates. We don’t know how aware the targets of his anti-Semitism were of his loathing for them or whether all the rest of the students approved of it (they were largely less well known for hating Jews, apparently, since Lovecraft makes a point of his own fame/infamy). 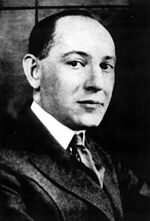 And if Lovecraft’s public persona was the important one, and he would never be cruel to someone’s face, what should we make of Samuel Loveman? Loveman was a poet who became good friends with Lovecraft. He appeared in two dreams of Lovecraft’s that were turned into the stories “The Statement of Randolph Carter“ and “Nyarlathotep,” and Lovecraft dedicated “Hypnos” to him. He was also a Jew. The relationship of Loveman and Lovecraft is a testament to how well the latter maintained not only cordiality with people he considered inferior but could look past it. 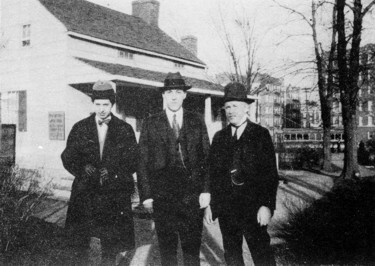 Lovecraft greatly admired Loveman and considered him one of his dearest friends. 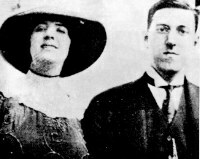 In 1947, a decade after Lovecraft died, Sonia Greene informed Loveman of her ex-husband’s anti-Semitism. 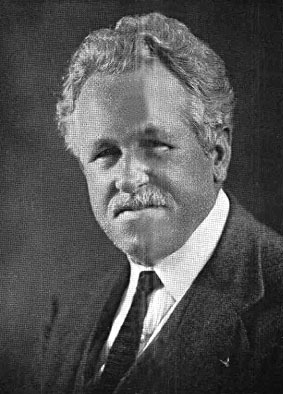 Loveman was shocked, later burning the letters he’d saved from Lovecraft and writing an essay, “Of Gold and Sawdust,” wherein he repudiates Lovecraft as a racist and hypocrite. If Howard Phillips Lovecraft was simply an exemplar of the racist era he lived in, why should Loveman have been surprised and hurt by Lovecraft’s attitude toward Jews? It’s possible that Loveman’s attitudes are the ones that changed over time, in the wake of the Holocaust and with the expansion of civil rights; he no longer accepted the casual racism of society at large. As with much of this, we can only speculate. Nonetheless, I doubt it’s simply that Loveman became less tolerant over such treatment or that he was blithely unaware that a lot of people distrusted and reviled Jews. So, this is what Lovecraft’s supposedly ordinary and polite racism brings. It’s up to us how much we think Loveman was justified in his response to the revelation of his dear friend’s beliefs. But should he have been grateful when people of the dominant culture treated him with pleasant disdain, because at least they weren’t spitting directly in his face? Likewise, Greene once told her husband while trying to calm him down while they were on the streets of New York (Lovecraft’s “Pest Zone” full of uncouth foreigners) that he didn’t have to love people different than him, but he didn’t need to froth with hatred, either. “It is more important to know what to hate than it is to know what to love,” was his response. When she pointed out to him that she was one of the aliens, he told her that she no longer belonged to the mongrels. Should she have been content with his acceptance of her as a higher class of assimilable Jew–a credit to her race? It isn’t, by the way, only Lovecraft’s racial “lessers” who were hurt by later finding out what Lovecraft really thought of them. 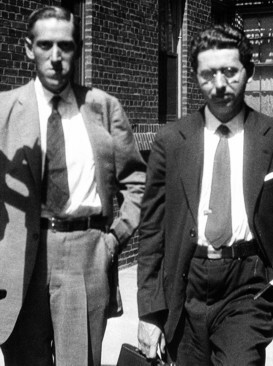 Donald Wandrei, who, with August Derleth, saved Lovecraft’s work from dying with him by founding Arkham House, worked on those early volumes of selected letters. While doing so, he discovered some of the things his friend and colleague had said about his later work to other correspondents. 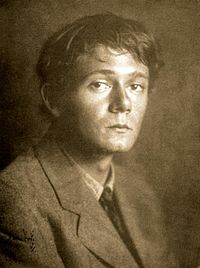 Wandrei was “both depressed and annoyed” by the low opinion that Lovecraft had of what he saw as his protégé’s increasingly commercial writing, an opinion that he had kept secret from Wandrei. 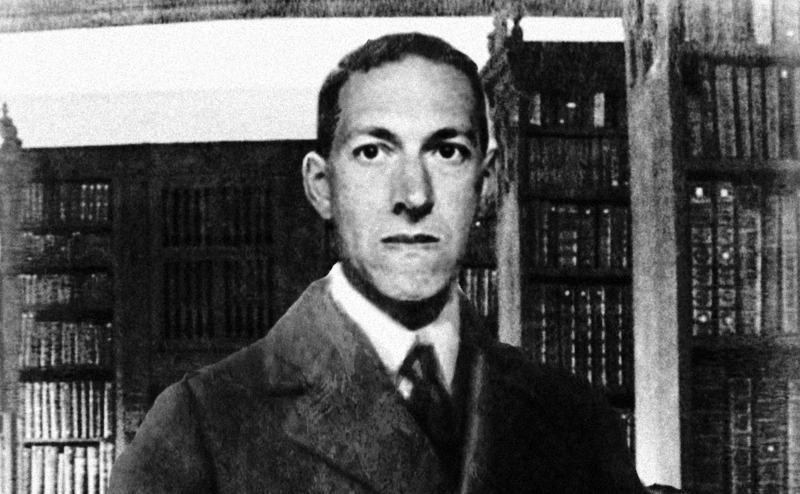 Lovecraft is hardly alone in any era of sharing negative opinions behind the subject’s back. But the notion that being polite to a person’s face and that deeds, not thoughts or words, are all that matters, seems decidedly wanting to me. Again, Lovecraft hardly kept his opinions to himself, though he never expected that his private words would be made so incredibly public. So, here we are in an era that some would claim to be “post-racial,” with Lovecraft the racist. We’ve gone beyond simply letting the work speak for itself; the fascinating figure of Lovecraft is combed over do tease out the least detail. Well, what do we do? That’s up to each of us. While I have and will continue to enjoy and work with the worlds he created, I can’t fault anyone who wants nothing to do with him. In recent years, as knowledge of his racist views increases, there have been a number of controversies and heated opinions on all sides. Perhaps most famously, there’s been the fight over whether a bust of Lovecraft should continue to be the World Fantasy Award. That fight didn’t end how many of Lovecraft’s devotees wanted. Personally, I don’t see why the award for an entire field should look like anyone, no matter how important they are to it. It certainly doesn’t help when a number of people in the running for it are neither admirers nor racially pure in Lovecraft’s eyes. Appeals to tradition and pointing out that the first convention celebrated Lovecraft don’t hold up for me. Tradition is important. As important is knowing when tradition should change. Last year, another controversy arose during the opening ceremonies at NecronomiCon Providence when Robert M. Price gave his speech. Many people were taken aback by his words, which praised Lovecraft’s foresight of the clash between a decadent, sleepily tolerant West and an anti-rational, superstitious East. Price asserts that his warnings about jihadists threatening Western Civilization are not racist. But using loaded terms like “affirmative-action epistemology” and “the real life “Horror at Red Hook“” in a muggy wooden church whirring with electric fans caused, at best, confusion as people tried to figure out what they just heard. Price is a powerful and interesting speaker, and his complex words here definitely need untangling. And even if they hold interest, the opening to a festival celebrating weird fiction and its practical founder doesn’t seem like the best venue for a call to arms against another culture–or even a dangerous portion of it. One thing that strikes me is how reminiscent the speech is of the debates by H. P. Lovecraft and Robert E. Howard over the respective qualities of civilization and barbarism. Briefly, Lovecraft was a proponent of the benefits of civilization, while Howard favored the purity and naturalness of barbarism and the frontier. Price certainly speaks out against “barbarians” here, but he is also critical of civilization, at least ours in its current state. We are “effete,” “Eurocentric,” and “senescent.” We have lost our way, apparently, practically welcoming the hordes. Of course, Lovecraft as a reader of Spengler knew all about cultural decline, and examples of once-mighty civilizations sliding into decadence and oblivion appear throughout his fiction. Speaking o f both “The Horror at Red Hook” and Price’s speech, one of a recent surge in weird fiction that addresses Lovecraft’s racism in some ways is Heroes of Red Hook, an anthology from Golden Goblin Press currently on Kickstarter. The short stories star protagonists from groups either underrepresented, absent, or negatively portrayed in Lovecraft and weird fiction of the era. Another recent anthology (which I copyedited) that addresses Lovecraft’s beliefs (of various kinds), this time through responses to his survey “Supernatural Horror in Literature,” is Letters to Lovecraft from Stone Skin Press. A few stories touch on racism, particularly the disturbing tale of the “normality” of racism, “The Horror at Castle of the Cumberland” by Chesya Burke. And the editor, Jesse Bullington, is the creator of the Lovecraft Apologist Bingo game, the perfect diversion next time you are part of or witness a debate on Lovecraft’s racism and its effects. I’ve wondered how much of the vigorous defense of Lovecraft and dismissal of his racism is due to concern that if Lovecraft is believed to be racist than his fans must be by association. I have indeed seen a couple of people speak online about having just this worry. But I think it better to meet Lovecraft’s racism head-on. Acknowledging it is not the same as approving of or sharing it. Related to this, some people say excuse Lovecraft’s racism as intrinsic to his work. Without his odious perspective, they say, we would be robbed of the power of his writing, since his anxieties suffused it. I’m not convinced. Yes, Lovecraft’s racism appears often in his work. But it could stand without it in almost all cases. There is only one vital story I can think of where Lovecraft’s racism is a necessary component: “The Shadow Over Innsmouth.” Without those aspects of his personality, Lovecraft may not have written this tale of a declining fishing town and the terrible pact its inhabitants made with a decidedly different culture-stream. 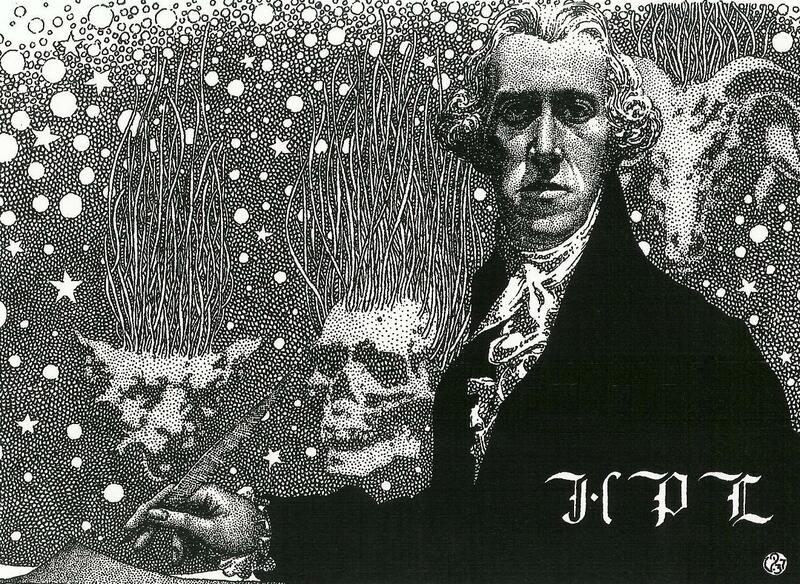 Despite whatever inspiration HPL’s bigoted anxieties gave him, the story, for me, transcends them. As with a lot of Lovecraft’s work, what I personally get from the story is not necessarily what he put in there. I don’t need to share Lovecraft’s racism to share in the universality of fear and wonder he imparts. Keeper Chad of the Miskatonic University Podcast had some questions for me regarding my yammerings in my recent post, Lovecraft in His Grave, Pondering Race. There, I state the following, “He may have realized that his scientific justifications for his views were wanting, but he merely admitted that his personal tastes were for an unsullied Anglo-Saxon culture-stream.” Chad wondered how much Lovecraft’s views changed and what proof there was for it, one way or the other (and what that might say about what a longer-lived Lovecraft would think). The statement in question comes after the quotation where Lovecraft talks about Hitler, which I follow with “he appears to have switched emphasis here and elsewhere to cultures as the main point of contention.” So, there I’m contending that there are other examples of this switch in emphasis than the letter about Hitler. Another example immediately sprang to mind while talking to Chad, since I considered including it in the original post. I had decided not to use it because I didn’t think it added much to an already lengthy post. No anthropologist of standing insists on the uniformly advanced evolution of the Nordic as compared with that of other Caucasian and Mongolian races. As a matter of fact, it is freely conceded that the Mediterranean race turns out a higher percentage of the aesthetically sensitive and that the Semitic groups excel in sharp, precise intellection. It may be, too, that the Mongolian excels in aesthetick capacity and normality of philosophical adjustment. What, then, is the secret of pro-Nordicism among those who hold these views? Simply this—that ours is a Nordic culture, and that the roots of that culture are so inextricably tangled in the national standards, perspectives, traditions, memories, instincts, peculiarities, and physical aspects of the Nordic stream that no other influences are fitted to mingle in our fabric. We don’t despise the French in France or Quebec, but we don’t want them grabbing our territory and creating foreign islands like Woonsocket and Fall River. The fact of this uniqueness of every separate culture-stream—this dependence of instinctive likes and dislikes, natural methods, unconscious appraisals, etc., etc., on the physical and historical attributes of a single race—is too obvious to be ignored except by empty theorists. Here again Lovecraft is emphasizing the idea that different cultures are all fine and good, so long as they don’t sully his. While discussing this, Joshi points out the hypocrisy of Lovecraft celebrating “Aryan” conquests while decrying even peaceful cultural influence from the other direction. This quotation is from a letter written in January 1931, over two years before the quote I posted. It doesn’t talk about science quite as much; in the other quote, he states that, of course, cultural heritage is more important than biological. Here, it’s more offhand–no anthropologist of standing insists that the Nordic is more evolutionarily advanced. That actually strikes me as a fairly significant concession by Lovecraft, contradicting ideas he’d championed in the past. But what I now realized about this quote after checking the end note was who his audience was here. This is in a letter to James F. Morton, arguably Lovecraft’s fiercest opponent on all matters race (more on him in the next post). I think this may make a big difference in why Lovecraft is couching his arguments in the terms he does here. As I pointed out in the previous post, neither Joshi nor Fred Ludnow think HPL’s scientific views on race really changed in his last years. Certainly, it’s difficult to argue that anyone has studied Lovecraft’s life and thought more than Joshi. Well, then, if Lovecraft hadn’t really changed his scientific views, then why all this equivocation over them, the sudden emphasis on cultural purity being the important concern? It is quite possible that HPL had by now conceded the point regarding science with correspondents such as Morton and J. Vernon Shea (the recipient of that Hitler letter). He began appealing to culture as the really important thing. It was all, perhaps, for rhetorical purposes, a vain attempt to win some ground with such unimpressed debate partners. If so, his actual beliefs changed not a whit. While my posts on this matter are hardly meant to be scholarly, I’d like to point out some of my sources. I’ve already mentioned the two-volume biography, I Am Providence. I found Lord of a Visible World: an Autobiography in Letters, edited by Joshi and David E. Schultz to be very useful in pinpointing various things I’ve read over the years. I glanced through Lovecraft Remembered, edited by Peter Cannon. And I’ve also referred to the two volumes of A Means to Freedom: the Letters of H. P. Lovecraft and Robert E. Howard, The Selected Letters of Clark Ashton Smith, and Mysteries of Time and Spirit: the Letters of H. P. Lovecraft and Donald Wandrei. Whenever Lovecraft’s racism is discussed, a common point made is that, had he lived longer, his beliefs may have evolved along with society in general’s. Certainly, we can’t know for sure what Lovecraft’s perspectives would have become, so it’s difficult to either accept or reject this speculation outright. And he did shift his views on any number of subjects, including matters of politics and culture. But I don’t believe his racism would have diminished anywhere near as much as some people hope. The idea that Lovecraft would have become less racist isn’t the dismissal of the subject that saying Lovecraft was simply a product of his time is. Often, that argument is an attempt at a final word–the late 19th and early 20th centuries were inherently racist, so Lovecraft naturally was; therefore, castigating him for his views is pointless. Instead, the theory that Lovecraft would have changed continues the conversation at least a little longer. It is generally made by someone grappling with their admiration for a writer who held repugnant views. It is borne of the hope that Lovecraft was capable of becoming better. I can appreciate this hope. Finding out that someone we admire holds beliefs diametrically opposed to ours can be upsetting. If we regard someone as a hero, we want them to be wholly and fully a hero. But in reality, people are complicated. They can and will embody things we agree with and cherish, along with things we find ugly and disappointing. It’s up to us to decide, on balance, whether we admire them still. One idea used to bolster the position that Lovecraft would have changed is that he had already done so to some degree. In his later years, so this notion goes, he moved incrementally away from the more shocking written declarations of his younger years. My perspective is that the nature and expression of his racism, including his rationale for it, changed over time. But the bigotry didn’t really diminish or soften. Lovecraft left behind an incredible amount of writing, and this is from where we can draw many of our conclusions regarding the degree and character of his racism. His fiction reveals his racism in a number of ways, often minor and often easily missed. If that’s all we had, we might indeed think of it as a product of its time. But we have his letters. So far, at least twenty thousand of his letters have been recovered (and that’s apparently only a fifth of what he actually wrote). 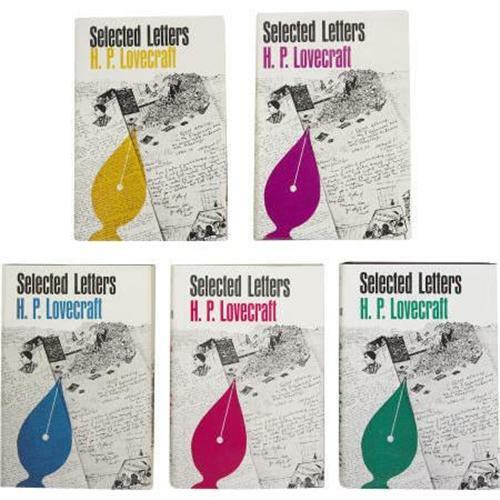 In recent years, scholarship on Lovecraft and the publication of a number of these letters have revealed more and more details to an audience hungry for them. 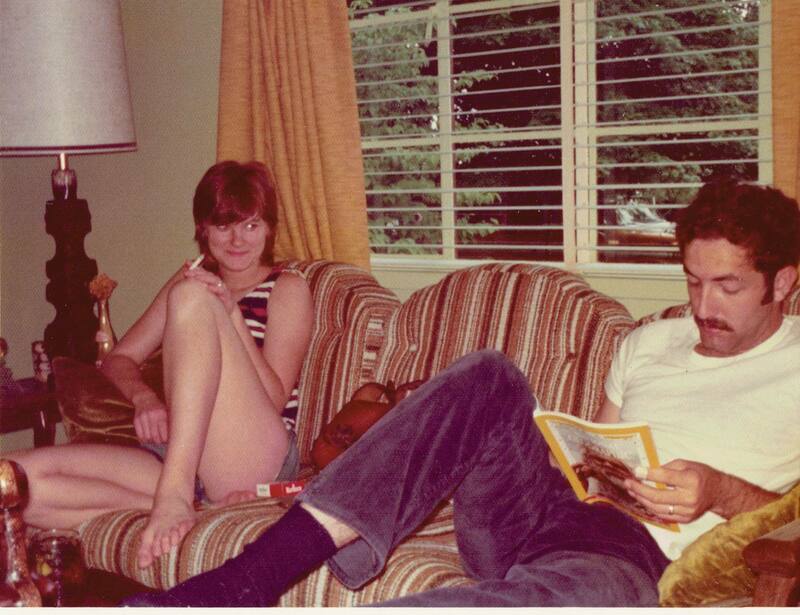 Correspondence and juvenilia that might otherwise go unnoticed become record. Lovecraft would be astonished by this. He didn’t expect his stories to survive him, printed as they were in disposable pulp magazines, let alone letters to friends. The original five volumes of selected letters, a mere smattering. Many specialized volumes, focusing on correspondence with certain people, have been published since. Of the things uncovered that shed a brighter light on his racism, one of the earliest and most upsetting examples is not a letter but a poem, written in 1912. The title alone gives you a good idea of what you’re in for: On the Creation of Niggers. I argue that this poem is more baldly racist than any of Lovecraft’s stories, including “He” and “The Horror at Red Hook.” Some have pointed out that paying attention to the poem is unfair–it wasn’t published in his lifetime, and it isn’t a mature work. And indeed, few people knew about it until recently, including his fans. But this is the downside to increasing awareness of an author. The poem survived; and, with the Internet, it is easily sought after or stumbled upon. I don’t think we can dismiss it as a youthful indiscretion. He was twenty-two when he wrote it, which hardly makes him a child. While he may not have written anything quite like it in the remaining twenty-five years of his life, he wrote plenty in public and private that reveals his racism. As I say, his letters, thousands of which have been published, highlight his thought and its development and changes over the forty-six years of his life, including his racism. I certainly have not read all of the letters that have survived, but, between the ones I have and various biographies and essays, I think I have a good handle on him. And I definitely don’t need to provide mention and analysis of every single one of his statements regarding race that I’ve read. We’ll all be here a long time if I do that. The mass of contemporary Jews are hopeless as far as America is concerned. They are the product of alien blood, and inherit alien ideals, impulses, and emotions which forever preclude the possibility of wholesale assimilation . . . . The fact is, that an Asiatic stock broken and dragged through the dirt for untold centuries cannot possibly meet a proud, play-loving, warlike Nordic race on an emotional parity . . . . Two elements so discordant can never build up one society–no feeling of real linkage can exist where so vast a disparity of ancestral memories is concerned–so that wherever the Wandering Jew wanders, he will have to content himself with his own society till he disappears or is killed off in some sudden outburst of mad physical loathing on our part . . . . Superior Semites . . . can be assimilated one by one by the dominant Aryan when they sever all ties of association and memory with the mass of organized Jewry. He goes on to talk about how disgusting and unassimilable various other “races” are (though the “Nordic Irish of Eastern Ireland and such of the French-Canadians as are of Norman extraction” may assimilate after a very slow process). For Lovecraft during this period, other races were scum both physically and culturally. And genetics and history inextricably intertwined with each other (note the references to “ancestral memories” above). Race was a product of genetics and heredity, and the races were almost separate from each other, following different paths of evolution (and therefore different levels of humanity). Lovecraft was hardly alone in using this now-discredited science to prop up his notions about “mongrels.” But even scientists and intellectuals of his time were moving far past these theories from the 19th century. The problem of race and culture is by no means as simple as assumed either by the Nazis or by the rabble-catering equalitarian columnists of the Jew-York papers. Of course Hitler is an unscientific extremist in fancying that any racial strain can be reduced to theoretical purity, that the Nordic stock is intellectually and aesthetically superior to all others, and that even a trace of non-Nordic blood–or non-Aryan blood–is enough to alter the psychology and citizenly potentialities of an individual . . . . But the anti-Hitlerites are too cocksure when they maintain that the fallacy of theses points justifies a precisely opposite extremism . . . . Anybody can see for himself the difference between a tall, straight-nosed, fine-haired dolichocephalic Teuton or Celt (be he blond or dark) on the one hand, and a squat, swarthy Latin, aquiline Semite, or brachychephalic Slav on the other hand . . . . It is of course true that the cultural heritage is more influential than the biological, but only a freakish extremist would reduce the biological to neglibility . . . . The races are equal, but infinitely different–so that the cultural pattern of one is essentially unadaptable to any other. The ancient civilisation of China is not inferior to ours–yet it could not possibly suit us, any more than ours could suit a race of essentially Mongol descent. While Lovecraft still appealed to outmoded science (note all the references to skull shape and size), he appears to have switched emphasis here and elsewhere to cultures as the main point of contention. These are what should not be mixed. Despite this shift, premier Lovecraft scholar S. T. Joshi claims that he believed in the biological inferiority of black people (and “Australoids”) until he died. Lovecraft also maintained his sympathies for the Southern side of the Civil War. He did, however, repudiate the Ku Klux Klan, which he had previously approved of, and his initial admiration for, if not full support of, Hitler seems to have evaporated. Some champion the idea that Lovecraft actually recanted his racism at the end of his life, but I see no real evidence of it. He may have realized that his scientific justifications for his views were wanting, but he merely admitted that his personal tastes were for an unsullied Anglo-Saxon culture-stream. To some extent, he admitted that he valued the “Nordic” above all else because it suited him, in much the way he liked a fine antique chair. He knew, ultimately, that he had a choice in admiring ancient Rome or Georgian England. He may not have fully realized that he had some say in how he regarded other human beings. When he wrote that letter to Shea, he was forty-three years old. He died less than four years later. If his views on race changed so little over three decades, how much can we expect them to had he lived longer? Would the Civil Rights Movement have really moved him, while he would be in his sixties and seventies? Again, as much as we might hope he would have changed, I have serious doubts. We, of course, will never know for sure. And as it is, I may be giving Lovecraft too much credit. Fred Ludnow recently wrote an article on his blog, Lovecraftian Science, entitled “H.P. Lovecraft and the Pseudoscientific Study of Racism,” which states that Lovecraft’s scientific views regarding race never really changed (this is basically Joshi’s position as well). Ludnow surely has a better understanding of the matter than I do; perhaps Lovecraft’s backpedaling was mere rhetoric. Nonetheless, Ludnow’s frustration with Lovecraft’s myopia in this one area aligns with mine. I have a bit more to say about the legacy of Lovecraft’s racism, which I will post soon. It’s been a long time since I’ve posted anything here. I never intended to be a regular blogger, and my schedule has been extremely busy since my last post. You can see the results of some of that busy-ness on my credits page. There are a number of books that recently came out or are coming out that I copyedited, and a few writing credits (the third issue of The Arkham Gazette and Doors to Darkness should both be out fairly soon). I’ve taken my last post and made it a bit more permanent, creating an entire series of pages under The Herbivore’s Convention Guide. First up is Comic-Con next week, so, if you are going and are at a loss for where to eat some good plant-based food, check it out. I hope this minor resource is of use. And while I just said I never intended to be a regular blogger, I have some plans to make use of this space more frequently, contributing short gaming-related pieces. I’ve had some ideas bouncing around in my head that I want to get moving into the outside world. Perhaps after the impending round of conventions, I’ll do just that. Having dietary restrictions while traveling can be a challenge, especially if you enjoy eating and hope for something that compromises neither your diet nor your tastes. Last year was my first Gen Con, as well as my first trip to Indianapolis, so I compiled a short list of vegan options beforehand. My initial quick search wasn’t promising, but a little more digging gave me a handful of places either close to the convention center or a relatively short walk or bus ride away. I arrived in Indianapolis assured that I wouldn’t have to eat the same thing over and over. Here are the places I ate and my (somewhat hazy) impressions of them, starting with the closest to the convention center. There were a couple of other places I was aware of that I didn’t try (apparently there’s a vegan haggis at a nearby Scottish pub). If I try some new ones or others share their own food experiences with me, I’ll update this. I will definitely check out Three Carrots, the vegetarian restaurant which opened up recently east of Monument Circle; it’s about a fifteen-minute walk from the convention center. This wasn’t on my list. I had no expectation that I would find suitable food in a convention center. On my first day, however, I took a look and discovered that the sandwich vendors offered the Vegan of Fury (which was also their only vegetarian sandwich option). I ate three or four of the things over the course of the convention. Eight dollars got me a decent-sized sandwich (cold eggplant, peppers, purple onion, and probably a couple of other ingredients I’ve forgotten), a mound of potato chips, and a pickle spear. Here’s what I posted on social media at the time: “It may not be revelatory in its flavor, but the price is comparable to other nearby options, and I hope they keep offering food like it. It was sold out at the first stand I visited yesterday, so it seems to be doing all right.” It was convenient and followed the rules for food in the convention halls (no outside food allowed), and I thought it was a good idea to support them providing options for folks like me. I ran across Du o’s Kitchen while searching for options. It’s three miles away, but they also operate a food truck, and they had posted that they would be one of the many catering to the Gen Con crowd on Thursday and Friday. I grabbed some food there both days. They had a great quinoa salad, with almonds and fruit, and the bisque was nice, as well. I also tried their vegan magic cookie bars, similar to a Mounds bar. They’re small but satisfying. I really hope they’re back this year. Their Facebook page seems to be the best way to track the truck and its changing menu (they should have one or two vegan options a day). This was what I found on my initial search. I was unfamiliar with this chain, and I’m not generally fond of franchises. But it looked like a decent option, and it still qualified as a new culinary experience. There are three noodle dishes on the menu that are vegan as is, as well as a soup, and there are numerous vegetarian options. It’s at 121 W. Maryland Street, Indianapolis IN 46225, just a couple of blocks from the convention center, and it’s open from 11:00 a.m. to 10:00 p.m. The lines tend to be long, but they keep it moving, and they bring the food out quickly. I’m sure most of the ingredients are prepared well ahead of time and are just waiting to be tossed together, but the food was decent nonetheless. I ate there twice and had the Japanese Pan Noodles and the Indonesian Peanut Sauté. I preferred the latter, simply because it was a slightly novel flavor combination (it’s probably the first Indonesian food I’ve eaten, even in approximation). This pizza plac e has a number of vegetarian options, and the senza formaggio comes without cheese (it’s in the name!). They have a downtown location, about a twenty minute walk from the convention center, at 333 Massachusetts Avenue, Indianapolis, IN 46204, with the hours of Monday–Thursday and Sunday: 11:00 a.m.–10:00 p.m., Friday–Saturday 11:00 a.m.–11:00 p.m. I went there Wednesday night after getting my badge. I’ll point out that Massachusetts Avenue runs diagonally, and if you turn the wrong way onto it, in the dark, after a flight, it may take you a little while to figure out that you’ve done so. At least that’s my experience. So I should point out n ow that I’m fairly critical of pizza, having spent four years of my childhood in Naples. And, no, it’s not just because I get it without cheese. The point of good pizza is the crust and the sauce, as far as I’m concerned (and one of the traditional pizzas of Naples comes without cheese, and it’s incredible). I was also tired, and they were closing soon, so I ate fairly quickly. All that said, I found the pizza to be all right, perhaps a little disappointing. The ingredients seemed to be of good quality, and my experience was undoubtedly marred by shoveling hot food into my mouth quickly. I doubt I’ll be back, considering the distance and my aforementioned taste preferences, but it’s worth a look for those inclined. And you can pass by the Vonnegut mural (photo from indianapolismonthly.com; my own nighttime photograph turned out as poorly as one might expect). This is unfortunately both the farthest and best food I had the entire time. I believe it is the only completely vegetarian restaurant in the area, and it serves Southern Indian food, which were two reasons I hoped I’d be able to make it there. Sunday night, after the convention, I took a bus to the restaurant at 4225 Lafayette Road, Indianapolis, IN 46254. I had estimated it taking about twenty-five minutes, but the bus wasn’t on time, so it was closer to forty minutes to get there. Ultimately, I’m glad I went. The restaurant is located within an Indian grocery store; you walk down the entrance hall to the store, and the entrance to the fairly large restaurant is to the right. When I came in and the waiter seated me, he asked if I was vegan, which was nice. When I replied that I was, he informed me that the buffet had numerous clearly marked options. I really just wanted a dosa, one of my favorite things, and it became clear to me that they were only serving the weekend dinner buffet (which can be a dodgy proposition even in good restaurants). I asked if that was indeed the only option, and he assured me that I would find it quite enjoyable. Well, that was that, so I took my seat. My spirits were immediately elevated when he told me he’d be right out with my dosa (I hadn’t said anything about it; they simply give you one of the delightful things as part of the buffet). And the buffet itself was marvelous. I got to eat a number of dishes I rarely do, like korma, as well as try some things I’d never heard of. My waiter came by to tell me he’d just put out a pot of vegan chai. There were also two desserts I could eat. They don’t have their own website, but, from what I gather on review sites, they’re under new management. This isn’t universally seen as a bad thing (there are at least some people who are happier with the food now, though there are a lot of complaints about the service). It was going to be difficult to squeeze it in as it was; now, I’m not sure how much effort I’ll make.